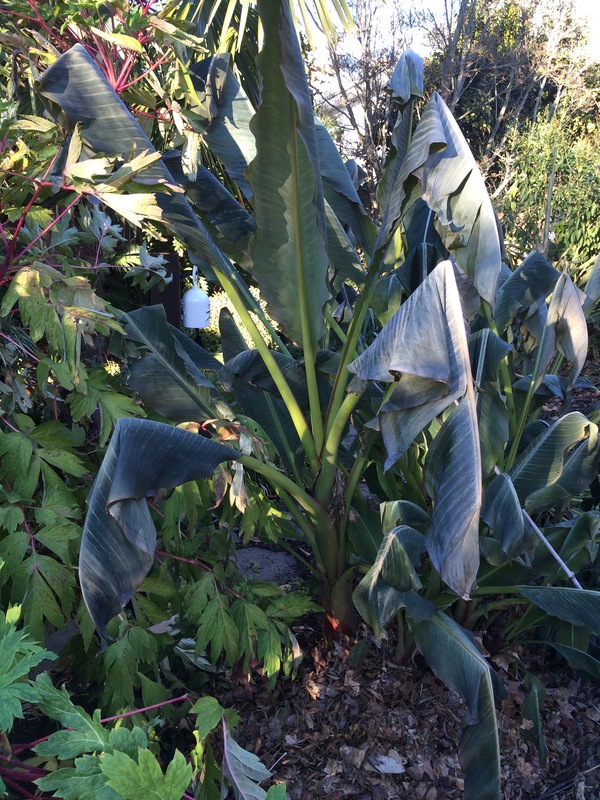 Published December 2, 2015 at 2448 × 3264 in Chilling, Freezing & Surviving: Understanding Hardiness & Preparing Your Plants for Winter. Musella lasiocarpa, zn7, Chinese Yellow Flowered Banana. Obviously not liking the frost, the cells it is leaves frozen and failing, I’ve grown this in the ground for nearly 15 years only mulching it in Fall. It has never failed to come back for me. This year it topped out at over 6′. Much of my own private, back, garden dies down in winter leaving it kind of desolate, but interesting to me all the same.